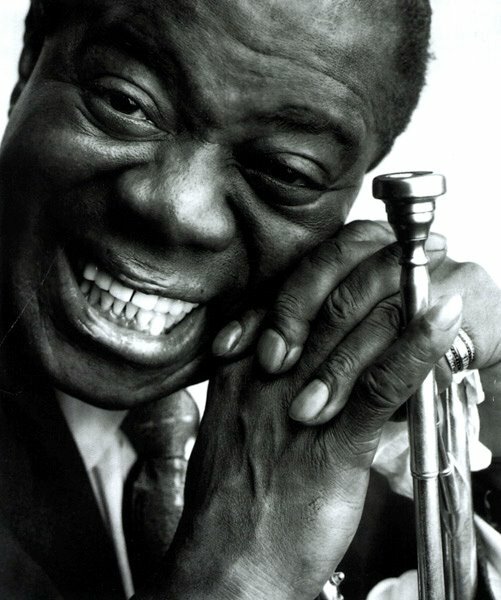 This weekend sees the sad passing of my Grandad, a great man who you wouldn't instantly think of as a jazz fan, but this late period Louis Armstrong hit was a great favourite of his, so it's only fitting that I should comment on it here today. This track will be instantly familiar to almost everybody. The starry-eyed optimism of the lyric couldn't be more fitting on a dark day like this one. Armstrong had long stopped being a jazz innovator by this stage in his career, but he was still capable of delivering a performance that could bring a tear to a glass eye. Actually, listening to this is bringing one to mine, so I'll leave you to enjoy a beautiful song, beautifully sung.